speculation frenzy known as the South Sea Bubble of 1720.
people fighting for a better world — the wisdom of crowds! people, but at... ...their connections. Now, social connections are for more than just making pretty pictures. People look to their social connections to understand their world. For example, people look to their peers to find out what % of their friends (not counting themselves) are, say, binge-drinkers. Draw/erase connections, and see what happens! cool, got it However, networks can fool people. Just like how the earth seems flat because we're on it, people may get wrong ideas about society because they're in it. Let's put aside the "threshold" thing for now. Below: we have a person with some information. Some misinformation. "Fake news", as the cool kids say. And every day, that person spreads the rumor, like a virus, to their friends. And they spread it to their friends. And so on. Indeed it is. Anyway, PUZZLE TIME! Draw a network & run the simulation, so that everyone gets infected with the "contagion". This madness-spreading is called an "information cascade". Mr. Newton fell for such a cascade in 1720. The world's financial institutions fell for such a cascade in 2008. Let's bring back "thresholds" and the binge-drinking example! When you played with this the first time, people didn't change their behavior. Now, let's simulate what happens if people start drinking when 50%+ of their friends do! Before you start the sim, ask yourself what you think should happen. Now, run the sim, and see what actually happens! Unlike our earlier "fake news" contagion, this contagion does not spread to everyone! The first few people get "infected", because although they're only exposed to one binge-drinker, that binge-drinker is 50% of their friends. (yeah, they're lonely) In contrast, the person near the end of the chain did not get "infected", because while they were exposed to a binge-drinking friend, they did not pass the 50%+ threshold. However, contagions aren't necessarily bad — so enough about crowd madness, what about... ...crowd wisdom? Here, we have a person who volunteers to... I don't know, rescue people in hurricanes, or tutor underprivileged kids in their local community, or something cool like that. Point is, it's a "good" complex contagion. This time, though, let's say the threshold is only 25% — people are willing to volunteer, but only if 25% or more of their friends do so, too. Hey, goodwill needs a bit of social encouragement. ← Get everyone "infected" with the good vibes! NOTE: Volunteering is just one of many complex contagions! Others include: voter turnout, lifestyle habits, challenging your beliefs, taking time to understand an issue deeply — anything that needs more than one "exposure". Complex contagions aren't necessarily wise, but being wise is a complex contagion. Try to "infect" everyone with complex wisdom! If you hit "start" below, the complex contagion will just spread to everyone. No surprise there. But now, let's do the opposite of everything we've done before: draw a network to prevent the contagion from spreading to everyone! You see? While more connections will always help the spread of simple ideas, more connections can hurt the spread of complex ideas! (makes you wonder about the internet, hm?) And this isn't just a theoretical problem. This can be a matter of life... ...or death. The people at NASA were smart cookies. I mean, they'd used Newton's theories to get us to the moon. Anyway, long story short, in 1986, despite warnings from the engineers, they launched the Challenger, which blew up and killed 7 people. The immediate cause: it was too cold that morning. The less immediate cause: the managers ignored the engineers' warnings. Why? Because of groupthink. When a group is too closely knit, (as they tend to be at the top of institutions) they become resistant to complex ideas that challenge their beliefs or ego. ← Too few connections, and an idea can't spread. Too many connections, and you get groupthink. 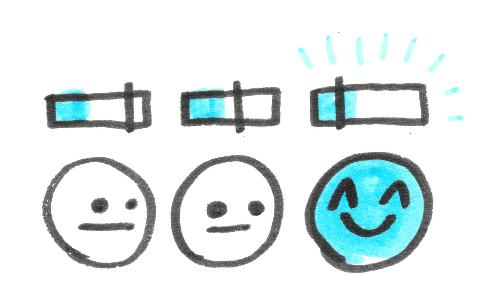 Draw a group that hits the sweet spot: just connected enough to spread a complex idea! Simple enough! 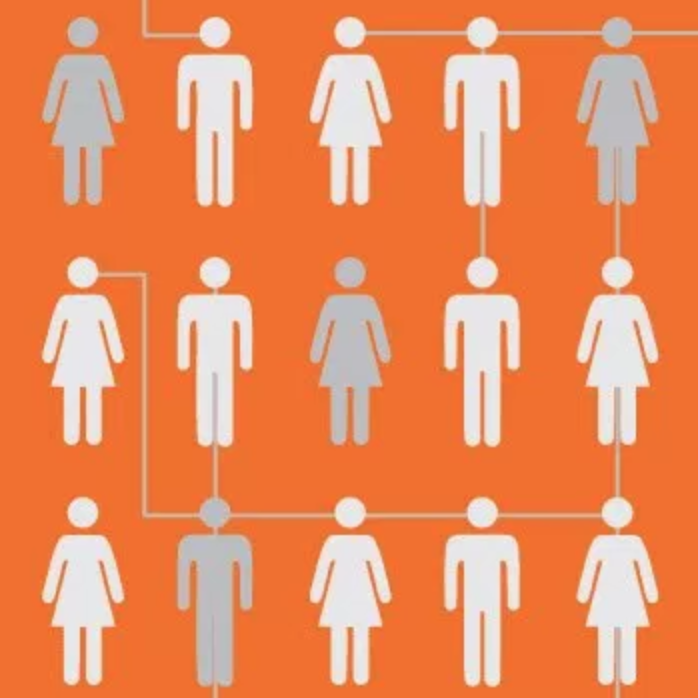 The number of connections within a group is called bonding social capital. But what about the connections... ...between groups? As you may have already guessed, the number of connections between groups is called bridging social capital. This is important, because it helps groups break out of their insular echo chambers! Build a bridge, to "infect" everyone with complex wisdom: Like bonding, there's a sweet spot for bridging, too. (extra challenge: try drawing a bridge so thick that the complex contagion can't pass through it!) Now that we know how to "design" connections within and between groups, let's... ...do BOTH at the same time! FINAL PUZZLE! "Unity without uniformity". "Diversity without division". "E Pluribus Unum: out of many, one". (pst... wanna know a secret?) Contagion: simple complex The Contagion's Color: Select a tool... Draw Network Add Person Add "Infected" Drag Person Delete Person CLEAR IT ALL (...or, use keyboard shortcuts!) 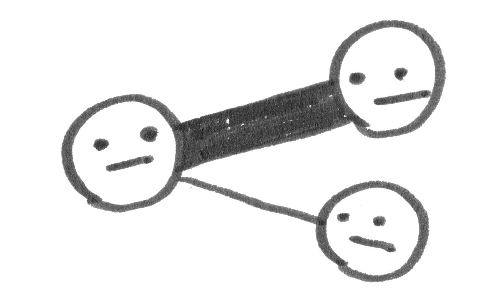 : Add Person : Add "Infected"
Connections: Too few connections and complex ideas can't spread. 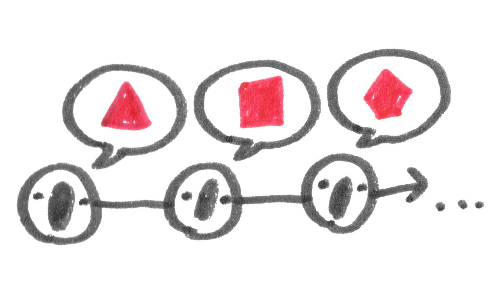 Too many connections and complex ideas get crushed by groupthink. The trick is to build a small world network, the optimal mix of bonding and bridging: e pluribus unum. to how we're trapped in a network's sticky web. folk, but also build bridges across cultural/political divides. 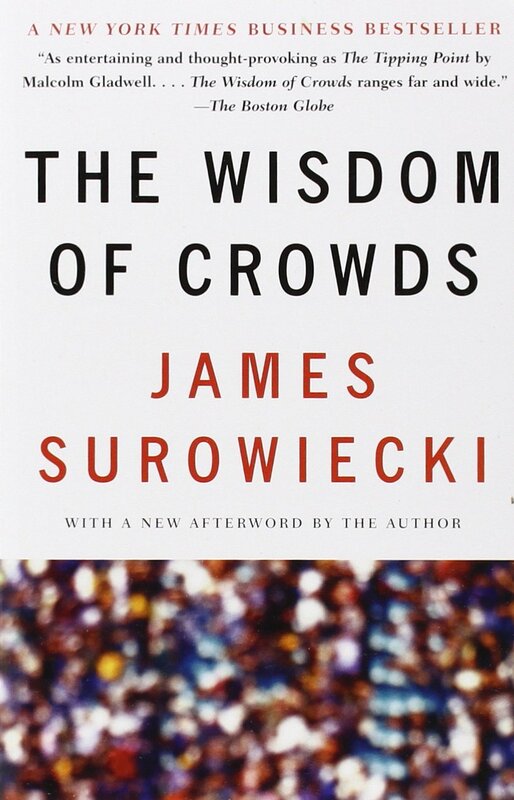 Surowiecki's answer: crowds make good decisions when everybody is as independent as possible. He gives the story of a county fair, where the townsfolk were invited to guess the weight of an ox. Surprisingly, the average of all their guesses was better than any one guess. But, here's the rub: the people have to guess independently of each other. Otherwise, they'd be influenced by earlier incorrect guesses, and the average answer would be highly skewed. So, which idea is correct? Does wisdom come from thinking for yourself, or thinking with others? The answer is: "yes". 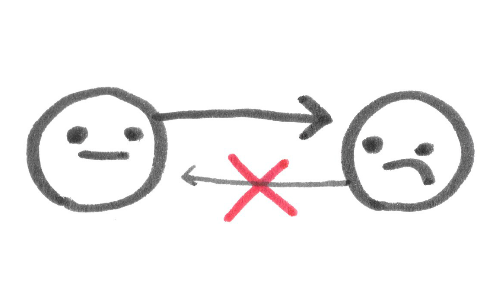 So that's what I'll try to explain in this explorable explanation: how to get that sweet spot between independence and interdependence — that is, how to get a wise crowd. Weighted connections. Elinor and Frankie are mere acquaintances. George and Harry are Best Friends Forever. Even though there's a "friendship" connection in both cases, the second one is stronger. We say that these two connections have different "weights". Just remember: all these simulations are wrong. The same way any map is "wrong". You see the map on the left? Buildings aren't gray featureless blocks! Words don't float above the city! 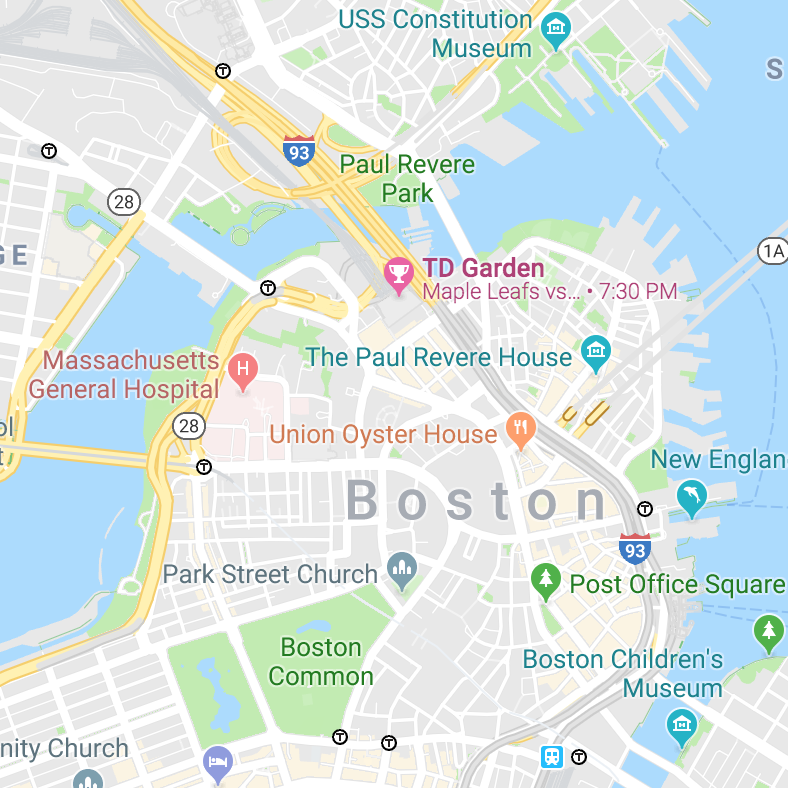 However, maps are useful not despite being simplified, but because they're simplified. Same goes for simulations, or any scientific theory. Of course they're "wrong" — that's what makes them useful. What other kinds of contagions are there? Contagions with Randomness. Being "exposed" to a contagion doesn't guarantee you'll be infected, it only makes it more likely. People have different contagion thresholds. My simulations pretend that everyone has the same threshold for binge-drinking (50%) or volunteering (25%) or misinformation (0%). Of course, that's not true in real life, and you could make your sim reflect that. An ecology of contagions. What if there were multiple contagions, with different thresholds? For example, a simple "madness" contagion and a complex "wisdom" contagion. If someone's infected with madness, can they still be infected with wisdom? Or vice versa? Can someone be infected with both? Contagions that mutate and evolve. Ideas don't pass perfectly from one person to another the way a virus does. Like a game of Telephone, the message gets mutated with each re-telling — and sometimes the mutant will be more infectious than the original! So, over time, ideas "evolve" to be more catchy, copy-able, contagious. I wanna learn more! What else can I read and/or play? Interactive: The Evolution of Trust by Nicky Case (me) (2017). 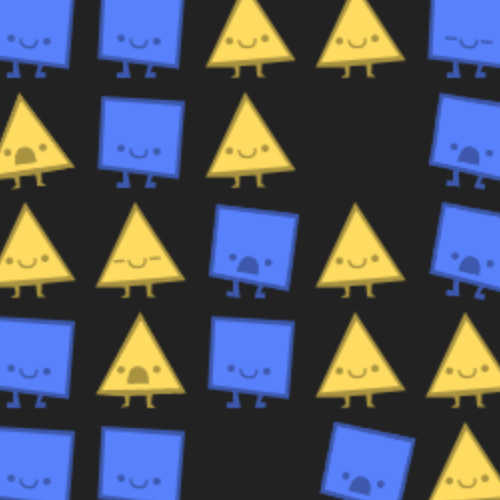 A game about the game theory of how cooperation is built... or destroyed. 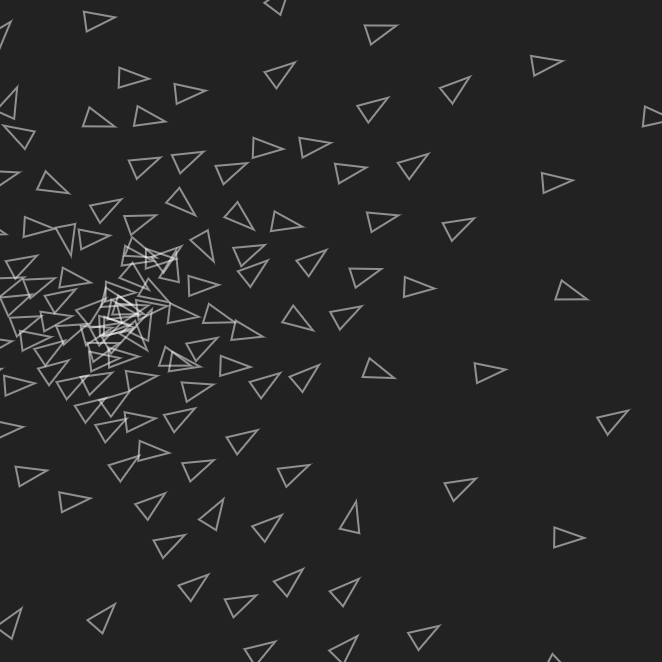 Interactive: Parable of the Polygons by Vi Hart and Nicky Case (also me) (2014). A story about how harmless choices can create a harmful world. Or, if you just want to see a whole gallery of interactive edu-things, here's Explorable Explanations, a hub for learning through play! “The Majority Illusion in Social Networks” by Lerman et al (2016). From Nicholas Christakis and James Fowler's wonderfully-written, layperson-accessible book, Connected (2009). “Suicide Contagion and the Reporting of Suicide: Recommendations from a National Workshop” by O'Carroll et al (1994), endorsed by the frickin' Centers for Disease Control & Prevention (CDC). “Contagion in Mass Killings and School Shootings” by Towers et al (2015). Also see: the Don't Name Them campaign, which urges that news outlets DO NOT air mass murderers' names, manifestos, and social media feeds. This spreads the contagion. Instead, news outlets should focus on the victims, first responders, civilian heroes, and the grieving, healing community. “Lemmings of Wall Street” by Cass Sunstein, is a quick, non-technical read. Published in Oct 2008, right in the wake of the crash. “Complex Contagions and the Weakness of Long Ties” by Centola & Macy (2007) coined the phrase "complex contagion", and showed the important differences between that and "simple contagion". Finally, “Universal behavior in a generalized model of contagion” by Dodds & Watts (2004) proposes a model that unifies all kinds of contagions: simple and complex, biological and social! This Orwell-inspired phrase was coined by Irving L. Janis in 1971. In his original article, Janis investigates cases of groupthink, lists its causes, and — thankfully — some possible remedies. These two types of social capital — "bonding" and "bridging" — were named by Robert Putnam in his insightful 2000 book, Bowling Alone. His discovery: across almost all empirical measures of social connectiveness, Americans are more alone than ever. Golly. 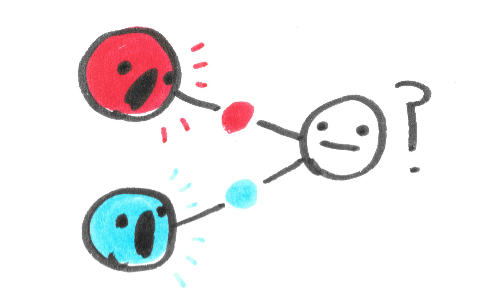 “The Strength of Weak Ties” by Granovetter (1973) showed that connections across groups helps spread simple contagions (like information), but “Complex Contagions and the Weakness of Long Ties” by Centola & Macy (2007) showed that connections across groups may not help complex contagions, and it fact, can hurt their spread! The idea of the "small world" was popularized by Travers & Milgram's 1969 experiment, which showed that, on average, any two random people in the United States were just six friendships apart — "six degrees of separation"! The small-world network got more mathematical meat on its bones with “Collective dynamics of small-world networks” by Watts & Strogatz (1998), which proposed an algorithm for creating networks with both low average path length (low degree of separation) and high clustering (friends have lots of mutual friends) — that is, a network that hits the sweet spot! You can also play with the visual, interactive adaptation of that paper by Bret Victor (2011). “Collaboration and Creativity: The Small World Problem” by Uzzi & Spiro (2005). This paper analyzed the social network of the Broadway scene over time, and discovered that, yup, the network's most creative when it's a "small world" network! See “Social Physics” by MIT Professor Alex "Sandy" Pentland (2014) for a data-based approach to collective intelligence. Besides the NASA Challenger explosion, the most notorious example of groupthink was the Bay of Pigs fiasco. In 1961, US President John F. Kennedy and his team of advisors thought — for some reason — it would be a good idea to secretly invade Cuba and overthrow Fidel Castro. They failed. Actually, worse than failed: it led to the Cuban Missile Crisis of 1962, the closest the world had ever been to full-scale nuclear war. Yup, JFK really screwed up on that one. But, having learnt some hard lessons from the Bay of Pigs fiasco, JFK re-organized his team to avoid groupthink. Among many things, he: 1) actively encouraged people to voice criticism, thus lowering the "contagion threshold" for alternate ideas. And 2) he broke his team up into sub-groups before reconvening, which gave their group a "small world network"-like design! Together, this arrangement allowed for a healthy diversity of opinion, but without being too fractured — a wisdom of crowds. And that's the story of how all of humanity almost died. But a small world network saved the day! Sort of. You can read more about this on Harvard Business Review, or from the original article on groupthink. Again, from Nicholas Christakis and James Fowler's wonderful book, Connected (2009). 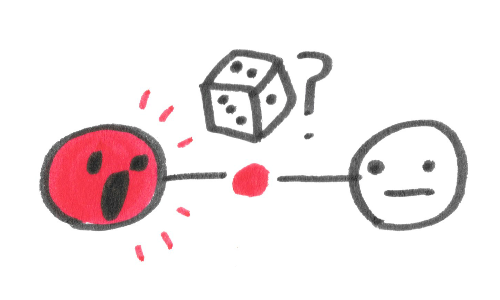 yes, including the ideas in this explorable explanation. The keyboard shortcuts (1, 2, space, backspace) work in all the puzzles, not just Sandbox Mode! Seriously, you can go back to a different chapter, and edit the simulation right there. 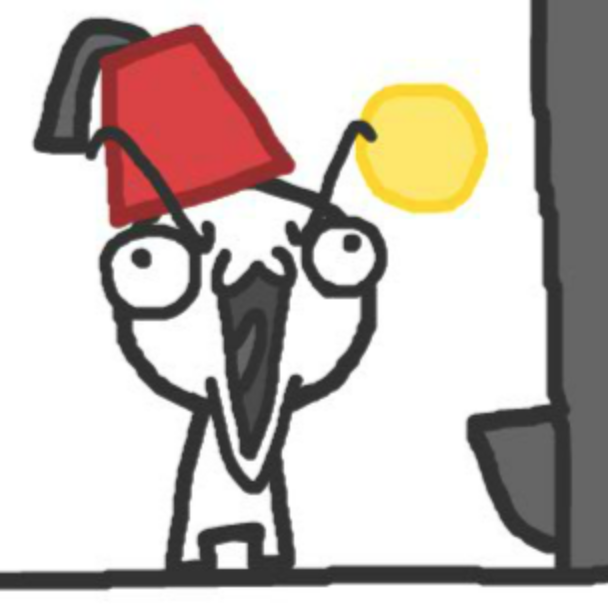 In fact, that's how I created all these puzzles. Have fun! Thank you, everyone who playtested Crowds during its many stages of life!